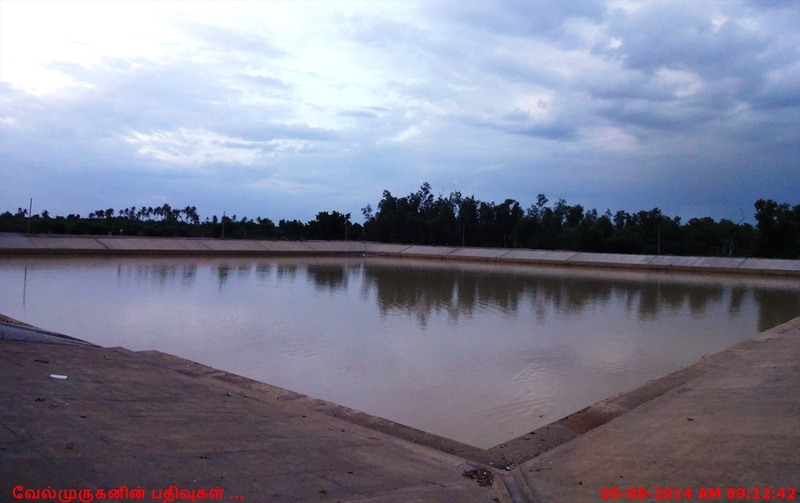 The Neyveli Murugan Temple is very easily approachable. 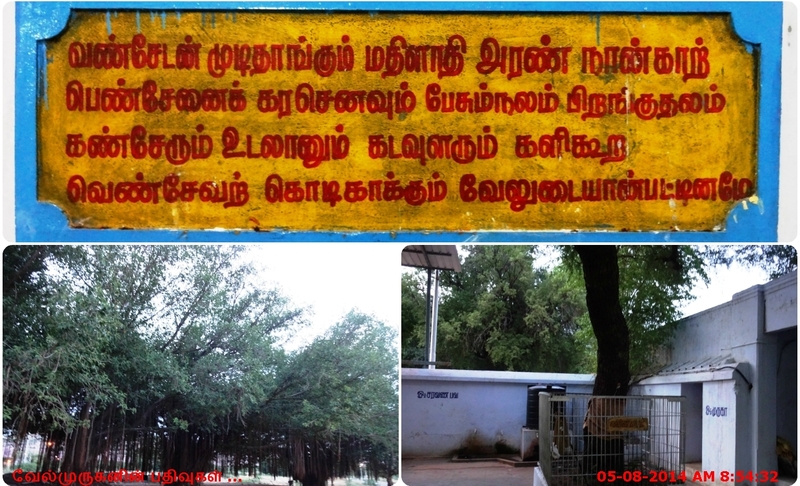 As soon as one reach Neyveli Towship Central Bus stand they can take an Auto to reach the Temple. 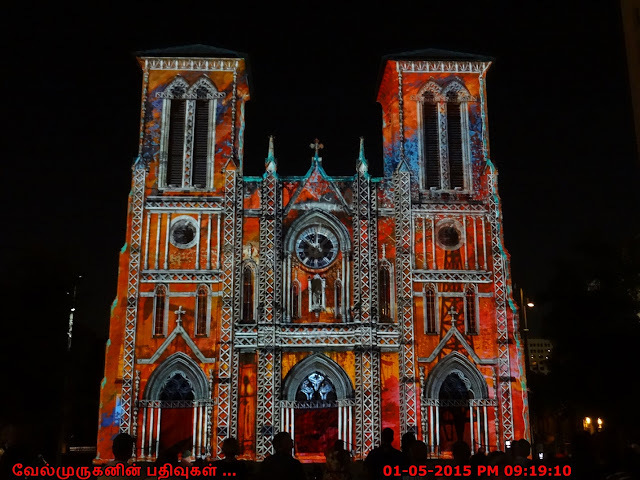 It is about a Kilometer from the Central Bus Stand there. 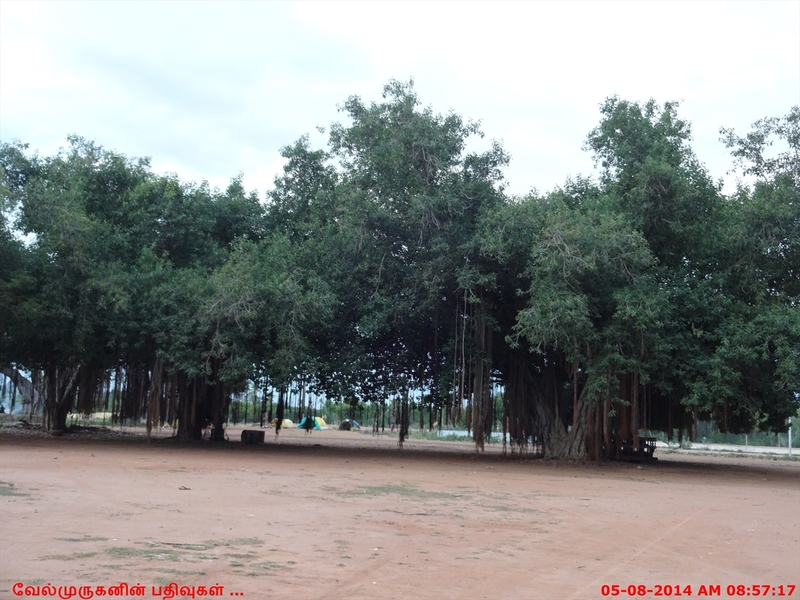 The temple is small and well maintained. We will feel peacefulness around the temple area. 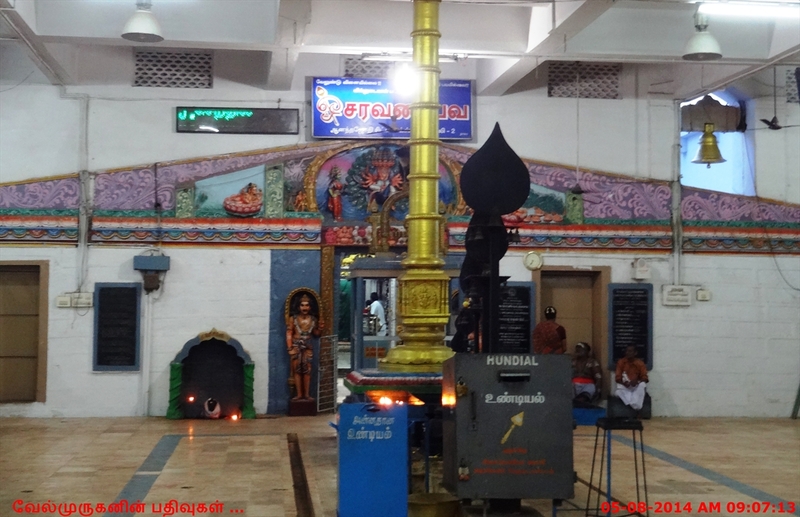 In general Lord Murugan has spear in his hand, but in the Neyveli temple he was holding the bow, signifying that he assumed the role of a hunter. 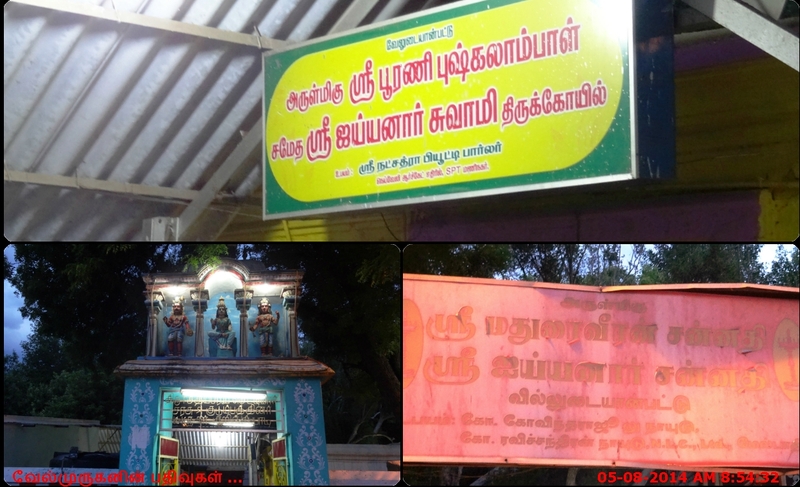 Hence, the temple was popularly known as Villudayanpattu Murugan temple. 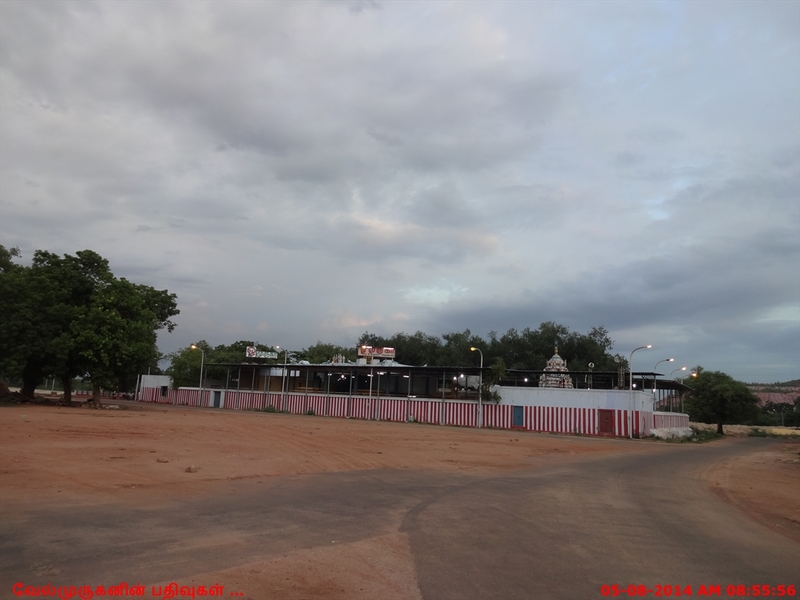 However, over the period of time it had come to be known as Veludayanpattu Murugan temple. 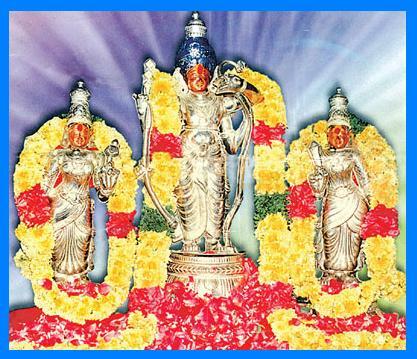 The most important festival celebrated here is "Panguni Uthiram" festival during the Tamil month of Panguni ( in between March and April Month of every year). 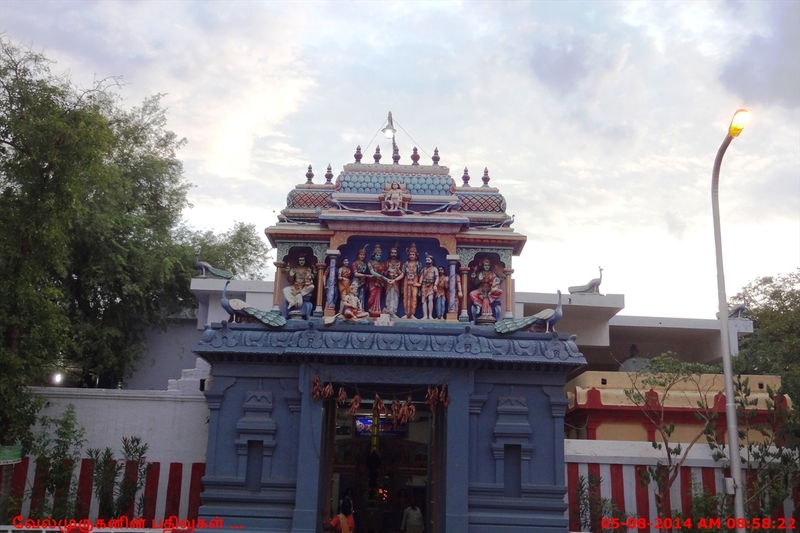 It is believed that Veludayanpattu Sri Siva Subramania Swamy Temple in Neveyli Township is more than 800 years old . 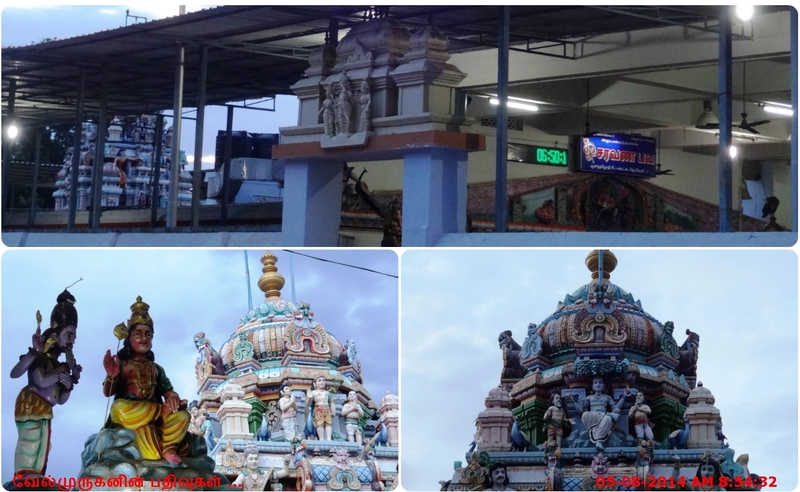 Just opposite to this Murugan temple, old Ayyanar, Madurai Veeran & Poorani Pushkalambal temple complex is there.